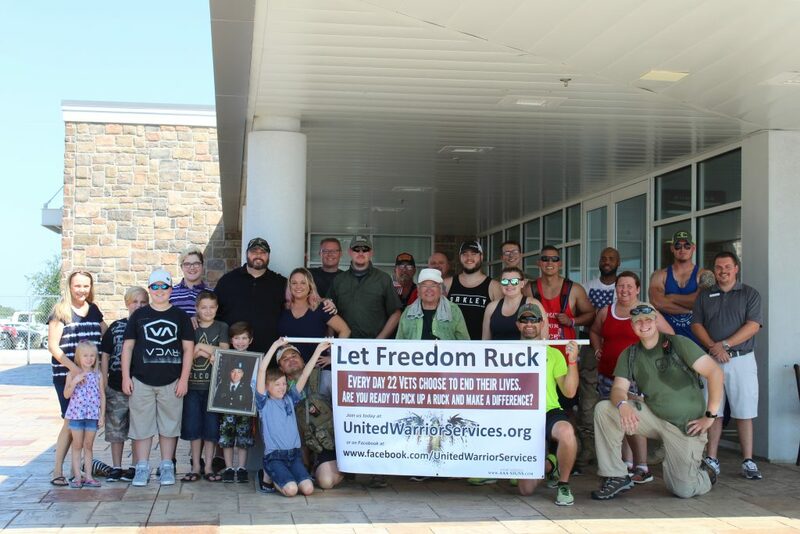 Let Freedom Ruck | United Warrior Services, Inc.
Let Freedom Ruck is a event that is just about as ‘Murica as you can get. Covering 22 km in differing locations, terrains, and seasons each event is unique and challenging. Each step, each drop of sweat, and each passerby reached; furthers public awareness of the fact that each day we lose 22 of our brothers and sisters. Participants are encouraged to dress patriotically and are requested to at least carry a water source. The pace of the march is set by the cadre, allowing for marchers at a faster pace to stay in one group, and those that prefer a more sedate pace to not be rushed. Challenge awards will be given to exceptional participants and for those that are the most patriotically dressed. Ready to get your Ruck on?